My wife and I love to travel. We have been to few exotic locations. 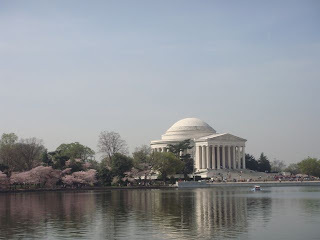 But one of the places we go every year is to the Cherry Blossoms in Washington DC. A little closer to home, but a fun time. The northern VA home base locations give us a launching point for our visitors. We typically have friends visit every year about this time to see the Cherry Blossoms. 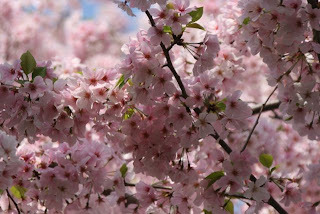 Sometime around the end of March or the beginning of April is the peak season for Cherry Blossoms. This year it should occur in about a week from now. 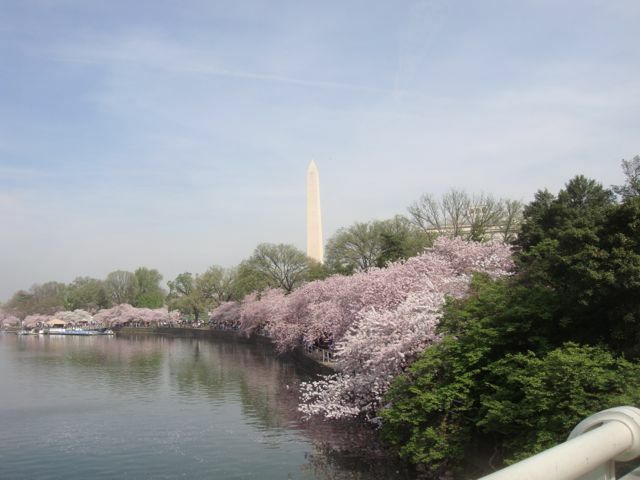 The entire reflecting pool is covered with Cherry Blossoms and the area is alive with pink and white flowers. I think only the pink are Cherry Blossoms. In 1912 the Mayor of Tokyo presented the USA with 3000 Cherry Blossom trees. Over the years gifts have been exchanged between Washington DC and Tokyo. In 1915 Washington DC gave Dogwood trees to the people of Japan. 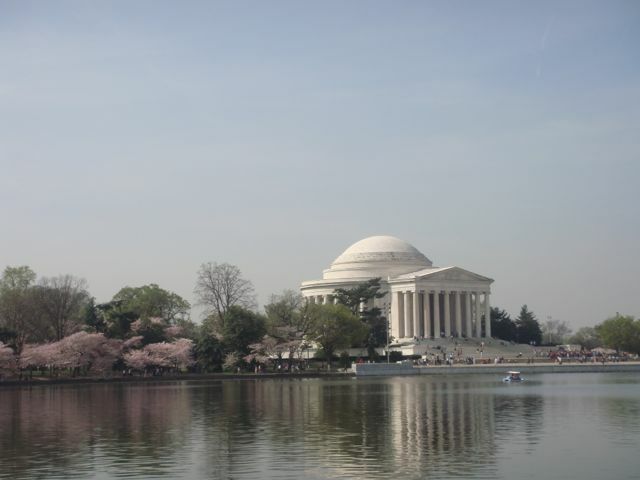 Then in 1981 Washington also presented cuttings from the Cherry Blossoms to Japan to replace trees that were destroyed in a flood. There are parades and culture events through-out the city during the festival. If you every have the chance to stop by DC during the festival, you should come and see the scene. Some years are cold, some years are warm, but all the times we have visited the festival, we have had a good time. I would love to see the Cherry Blossoms one day. I'll put it on my bucket list. That's the reason I love DC so much. They're so beautiful. Ah, cherry blossoms - to fully appreciate them, you need to smell them too! Every year when I see the pictures, I wish I would have been there in person. One of these days! DC during cherry blossoms? The best. Nice post!